Do you miss being able to use the function keys on your keyboard to launch applications & open files? 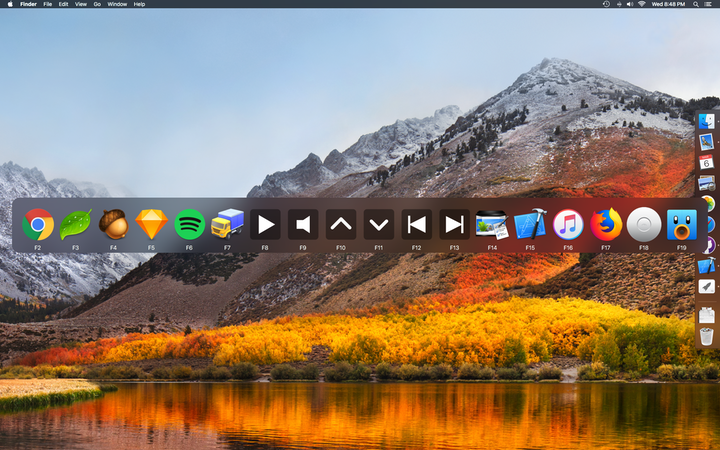 One Key is a simple, integrated and elegant solution for using the function keys on your keyboard to launch applications, run scripts, send media events or open files with a simple key press. No fancy setup required, One Key is one step simple. Main Window Use One Key to open Applications, AppleScripts or use custom media keys. All Items Window Quickly look at which key is assigned to which file with One Keys All Items window. Or use it as a launcher by clicking the items. 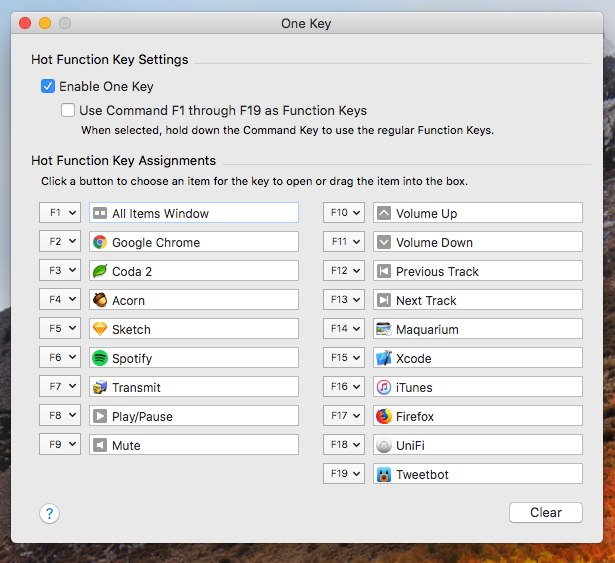 One Key allows you to use the function keys as hot keys to launch applications, run scripts or open files with a simple key press. It does this all without rendering the original commands of your function keys useless. View One Key's version history.